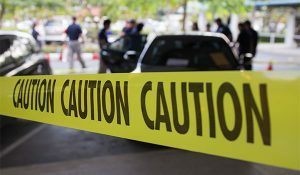 When a homicide or other crime occurs resulting in serious injuries, the time will come when the scene will need to be cleaned. However, for those who think cleaning scenes where shootings, stabbings, suicides, and other traumatic events occurred is normal housekeeping, they quickly realize these situations are vastly different. Along with being traumatic for family members and friends, these environments contain many hazardous possibilities, such as the spread of diseases through blood-borne pathogens and other health hazards. Because of this, it is best to rely on professionals who specialize in these situations, such as Crime Scene Cleanup Chicago. When it is time to clean up a crime scene, it will take far more than a mop and broom. Instead, it will take trained cleaning professionals who use specialized cleaning techniques designed to meet state and federal regulations, along with OSHA requirements. In fact, when a mobile cleaning crew from Crime Scene Cleanup Chicago arrives at the scene, they will not only have the unique cleaning supplies needed for the task, but also will use hazmat suits, respirators, foot protectors, and gloves to ensure everyone’s safety. If you find yourself facing the daunting task of a homicide clean up, don’t go it alone. Instead, put your trust in the professionals at Crime Scene Cleanup Chicago. By doing so, you’ll gain peace of mind, knowing this most difficult task will be handled in a professional and courteous manner.